These boxes are manufactured using innovative technology by our dexterous professionals and are available in different specifications to meet the diverse requirements of the clients. Our quality controllers test this product on various parameters to ensure its flawlessness. Our precious customers can get this product from us at reasonable costs. Legally certified as a proprietorship firm, our company has achieved great proficiency due to the first-rate quality of our products used for packaging applications. With rich industrial experience and sound infrastructure, we have been successfully catering to the requirement of various industries such as automotive, construction, heavy industries and others. 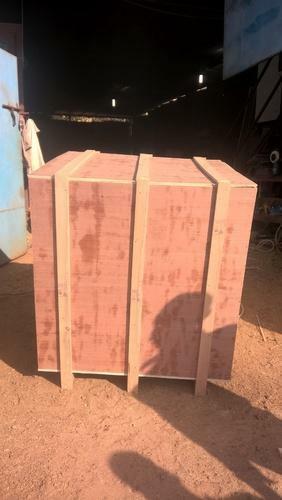 We are offering wooden packaging material and boxes such as wooden boxes, pine wood boxes, plywood boxes, wooden crates, euro pallets, two way pallets and four way pallets. Our manufacturing unit, spread over the area of 1500 square feet is well equipped with latest machines, which enables us to develop a qualitative range. We use high quality of raw material like rubber wood, silver wood, plywood, nails, plastic paper, bubble sheet and silica gel to ensure excellence. Our products are properly tested for their rigidity, moisture content and strength at our quality testing laboratory. We provide customization to meet the specific requirement the clients.